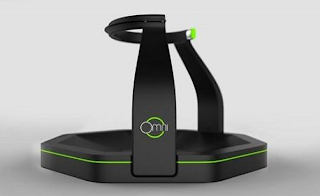 Virtuix Omni Gaming Treadmill is now available for pre-order. The gaming device which stimulates walking around freely when in use but remain in one place is set to enhance your gaming experience. After a successful kick starter funding, the Virtux will be available for shipping starting march 2014 and for as little as $ 499, gamers will get the platform, belt, shoes plus tracking hardware and software.